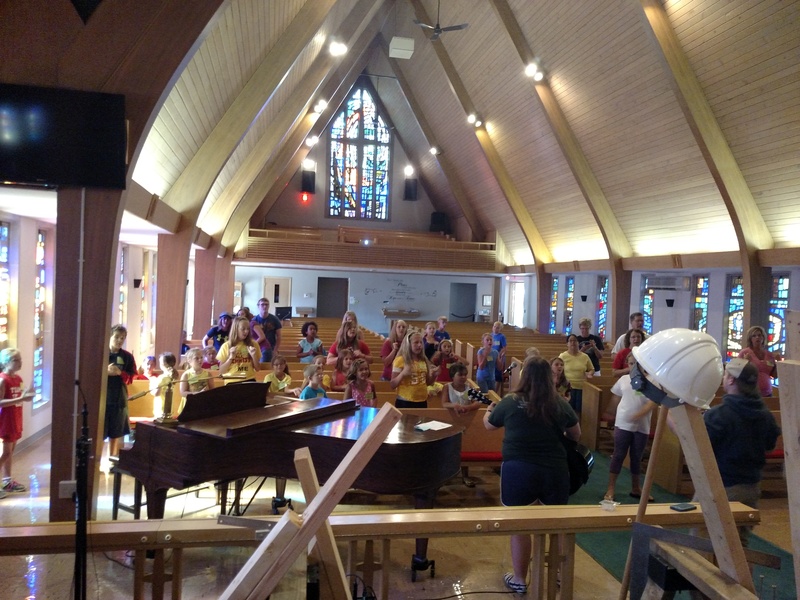 VBS = Transformed kids + Awesome Experience! 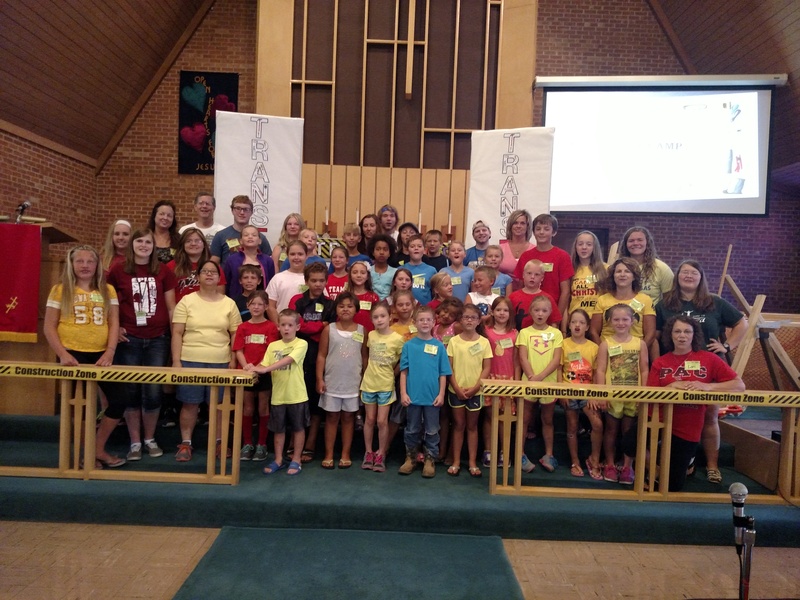 VBS Day Camp Week has come and gone and what a great week it was, too! The Okoboji Ingham Counselors did a great job at helping us be TRANSFORMED in the image of Christ through skits, songs, games and fun projects! Our day campers were super excited to meet and hang out with these great young adults and awesome examples of Christ! Throughout the week, we learned that Jesus is our firm and secure foundation, that God has a blueprint (plan) for each of our lives, that he encourages us and gives us what we need to fulfill that plan, and finally, He asks that we go out and share His love and plan with others. We also had fun dress-up days: Pajama Day, Wacky Wednesday, and Class Colors Day. They counselors really knew how to make our time ad Day Camp fun! Our week ended Thursday night with a Day Camp program and “Build Your Own Ice Cream Sundaes!” It was a great evening for all! A week like this can only come together with the help and support of many willing hearts and hands. The Education Team would like to thank everyone who helped in any way to make this week such a great success! PS See more VBS pictures under the PHOTOS tab! 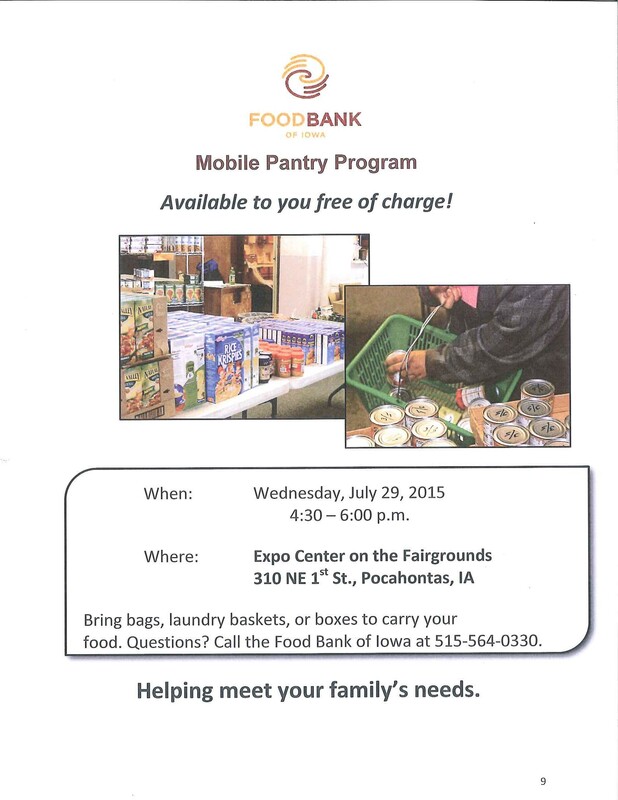 This Wednesday – July 29, 2015 from 4:30 – 6:00 p.m.
at the Expo Center in Pocahontas. Anyone who is available to help with set-up, please be at the Expo Center by 11:00 to start unloading the semi. This is a great opportunity for our community! 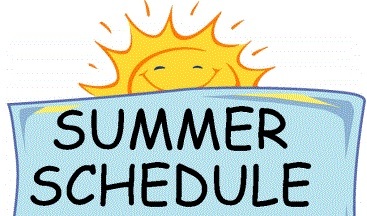 Just a reminder that our summer worship service at 8:00 a.m. switches from the Havelock Center to the Plover Center tomorrow, July 25th and continues there until September 13th. 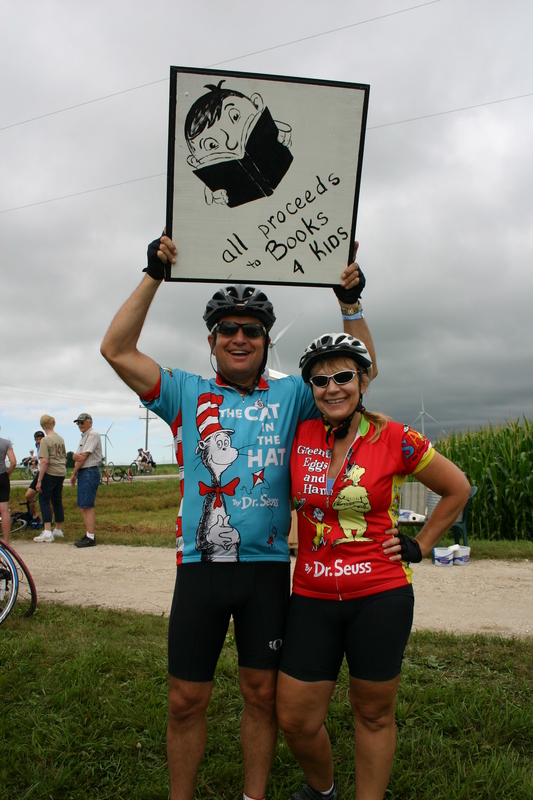 The second service at the Pocahontas Center starts at 9:30 a.m.
Two riders, suitably attired, help promote the childhood literacy project for which church members collected donations during RAGBRAI. Neither rain nor shine (and we had both!) kept 10,000 bicyclists from riding from Storm Lake to Ft. Dodge on July 20th. Many stopped at the Hope UMC stand along highway 7 where hospitality was offered and we heard many interesting stories. THANK YOU to everyone who contributed cookies, water, coolers and/or cash donations, as well as, to the volunteers working that morning who braved both rain and heat. You are all a part of the childhood literacy project to make it possible to “change a child’s story!” Again, thanks! Following are some photos from our RAGBRAI stand on July 20th where local church members served cookies and drinks and offered shelter from the rain and later, the heat. Donna Hudson of Hope United Methodist Church serves as a human kickstand for RAGBRAI riders on a tandem bike. 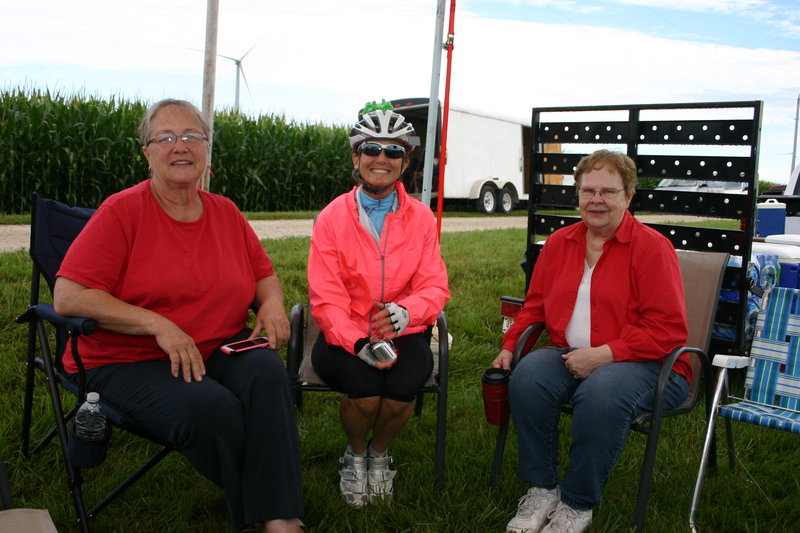 Just one of many RAGBRAI visitors who relaxed with Judy Boysen (left) and Audry Simonson (right). 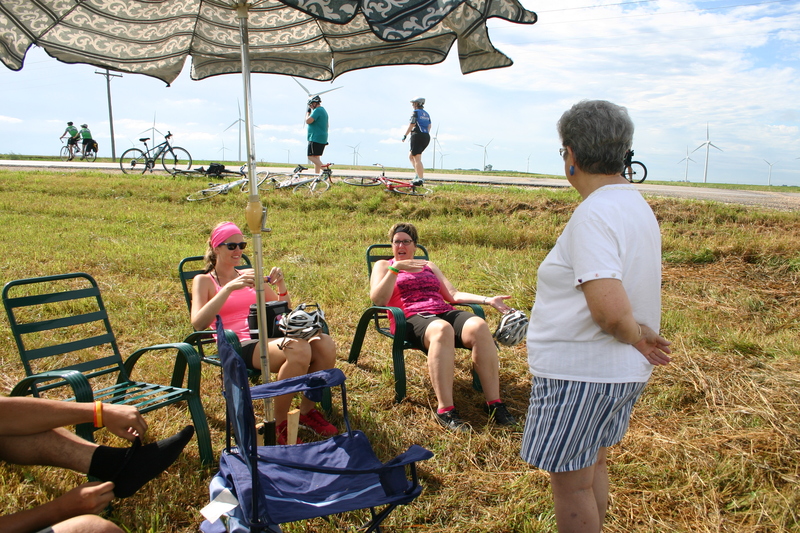 Dixie Gottsch (right) visits with RAGBRAI riders who are taking a short break at our booth. VBS is July 20-23rd — Please pre-register by Wednesday, July 8th! 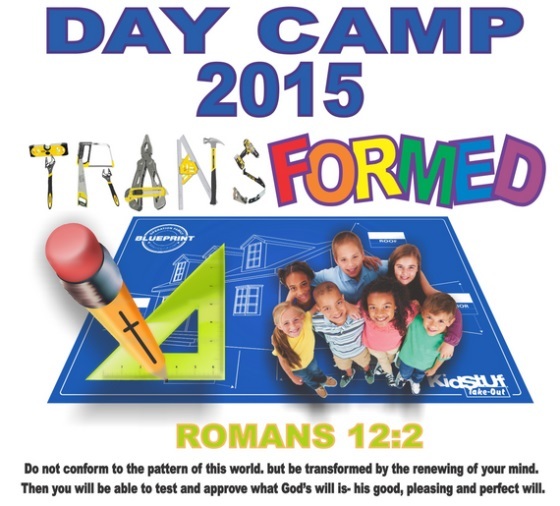 Please return this VBS registration 2015 form to Hope UMC by Wednesday, July 8th. Open it, print it, fill it out, and drop it off or mail it back to the church today! Pre-registration helps us plan for the number of camp staff needed, daily activities, etc. so please complete a form for your family and friends as soon as possible. We want to be sure to get everyone signed up early – – so please share this form and help us spread the word!! Registration forms are also available at Hope UMC and at several business locations in town. If you have any questions, please call the church office at 335-3663. Let the fun begin and let’s be TRANSFORMED! !